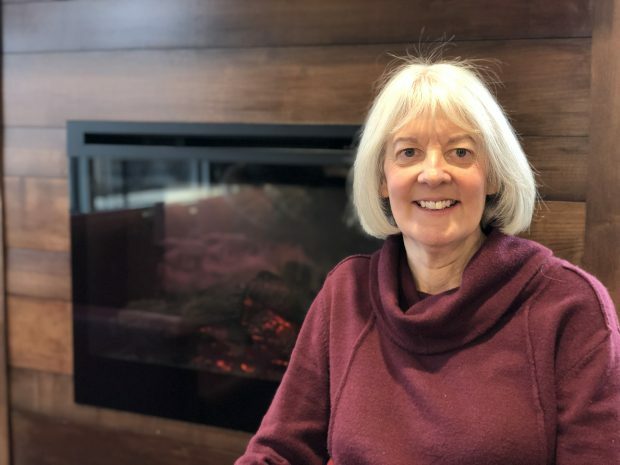 Before retiring from the corporate world, volunteer tutor Sue Abbey provided executive coaching and worked extensively with global teams in Europe and Asia. She has a doctorate degree in adult and continuing education. The ability to read, write, and speak English affects so many areas– from buying groceries, to getting a job, to reading memos sent home from a child’s school. Having lived and worked overseas, I know firsthand how important these skills are in daily life. During my five years of volunteering with the council, I have focused on English language learners. I’ve tutored students from South Korea, Brazil, Japan, and Mexico. Each one has been a joy and provided me with a different perspective on world events and life in the U.S. In addition to one-on-one tutoring, I’ve had the privilege of facilitating ESL conversation groups. These are fun events, where we discuss everything from idiomatic expressions to making airline reservations by phone. Sometimes we play word games like Taboo and Telephone. A typical group has students from four or more countries, so there are plenty of experiences, traditions, and laughs to share. This spring, I will facilitate my fourth English Meetup Group for skilled immigrants seeking employment. Past participants are now working in professional recruitment, architecture, finance, and program management. It’s rewarding to experience their excitement of landing a job and successfully completing their first week of work. I am thankful to OLC, not only for these wonderful connections, but also for the resources and support. Student testing fosters effectiveness and efficiency by helping tutors know where to start, where progress is being made, and what areas need additional work. OLC’s library of materials and tutor workshops save time and money for tutors, while providing creative ideas and approaches. This is one reason why I support the OLC financially, in addition to volunteering. I encourage you to get involved with the OLC. I am confident that, like me, you will enjoy making a difference in people’s lives. "